In the past, I questioned the utility of using an actual realtor to purchase a house given the prevalence of DIY-type online services, and we previously bought several houses that way. Never again. So long as Katie Burn is a realtor, she is the only person we will ever use to buy a house. I can’t express how amazing she is. She handled every single thing. She did so much work that I wish we could have tripled her commission. She takes on every painful part of the process just to make the buyer’s life easier. We can’t thank her enough. We have worked with Katie buying twice and selling once, and we wouldn’t work with anyone else. She is amazing - so thorough, so thoughtful, she has offered us advice and help with our home well beyond the scope of her job (even years after), and she’s a whole lot of fun to be around even and especially during the challenging parts of our somewhat complex situation. 5 stars all around! Terry R. and David E.
Katie is fantastic to work with. We sold our house with her, and once we decide to buy again, she will be our buyer's agent without a doubt. She puts so much thought and consideration into her listings. She makes the process smooth and easy and takes care of all the details. I always worried about selling my house, but Katie made the process easier than I could have ever imagined. She is wonderful. Katie is the best agent out there (and I'm not just saying that as her friend)! She's attentive and knowledgeable and on top of every detail. As a first-time home buyer, she made the process manageable and understandable and much less stressful. Katie made sure to keep me updated on everything associated with the sale and was always available to field my questions and hear my concerns/rants. I highly recommend her to anyone looking to purchase/sell a home and look forward to working with her again. I can't wait to hunt for my next house just so I can work with Katie again. She handled my unusual financial situation with understanding, compassion and tons of helpful advice. Her feedback on the properties was thoughtful and honest, and I never felt pressured to make a decision or speed up my process. It was a pleasure to work with someone as smart, genuine and downright fun as Katie; I would recommend her to anyone! Lisa is fantastic to work with. She has a thorough knowledge of the market and various areas in and around DC, is very accessible and responsive, and has great judgment. She goes out of her way to accommodate her clients, and actually led me to the perfect house in the area where I didn’t know I actually wanted to live by listening to my comments and questions as we viewed properties in the areas I had chosen. Plus, she is fun to work with! I highly recommend her! I cannot emphasize enough what a superior job Lisa did for us. We sold two town houses in Foggy Bottom, three years apart. We live in New York and Lisa took care of all the complex details including renovation and staging. Even after the closing she reminded me to take care of post sale details that I might have forgotten. She was on site when necessary, followed through thoroughly an expertly. She guided us through every part of the process, offering suggestions and giving clear pros and cons when decisions had to be made. She was never overbearing or overwhelming, just quietly confident and clear. I would not only recommend her highly; if you were a friend or a relative I would insist you use her. Lisa and her colleagues helped me sell my beloved 1923 rowhouse in Mt. Pleasant. I made the decision to sell somewhat hurriedly, with less than optimum timing for getting it on the market during the best sales season. But with Lisa's help I got it all fixed up so that it sold quickly and for what I considered an amazing price. She kept me focused on the business aspects of the process, while being understanding of my sentimental feelings as only the second owner of the house. I wanted the house to be in top shape for the next owner (and of course that helped the sale process), and Lisa had all the necessary contacts to accomplish that as quickly as possible -- contractor, painter, appliance purchase and installation, cleaners, staging; it looked fabulous! She very carefully priced the house and managed the bidding process to take advantage of the hot Mt. Pleasant market. As a result, it sold right away with multiple bids. I was extremely happy with the entire process and outcome. Lisa Levine is the best realtor you could hire. She is certainly the best I’ve ever had—and I have changed a few over time. She is knowledgeable, prompt, fast, always ready to offer advice based on solid data and long-term experience. Even more, Lisa is kind and flexible. I would not look any further if you are looking for a great real estate adviser. She will be able to deliver for you! I have worked with Ira and Katie since 2011. My first experience was amazing as we spent the day looking at condos and by the end of the day we had a contract on a condo in Columbia Heights - the fastest process ever. Again in 2016, we worked together to find our next home. This time it took longer, but they were great and patient. After seeing 70 properties and losing bids on several, we finally found a place in Adams Morgan. When we decided to sell in 2018, they helped us find contractors to do some remodeling and staging for the sell. The results were fantastic and the sale went super smooth. This relationship has transitioned from a business to a personal relationship, and we cannot imagine working with anyone else for buying or selling a property. We knew we were getting an excellent realtor when we choose Katie to help us sell our city row house, but she exceeded our expectations. At every step of the way, she gave expert advice, she was responsive and knowledgeable, anticipating every slight bump in the road. In a word, she was efficiency personified. Before any problem arose, she had already solved it. To boot, she helped us navigate the sale here in the States while we were at the same time involved in buying real estate overseas. As an added bonus, Katie never created unnecessary stress or anxiety: her demeanor was continually and constantly calm and even-tempered. I recommend her in the highest possible manner. I've used Ira twice in the past nine years, to buy and to sell my condo. He is a fantastic realtor - his knowledge of the local DC market is unsurpassed and his customer service is outstanding. It took me almost a whole year to find the right condo in DC. Ira spent so much time and effort over that year helping be, but never once gave up or lost patience. When I was relocated overseas late last year for work and wanted to sell my condo, I of course went to Ira. He took care of everything from start to finish - I never had to worry once, even though I was on the other side of the globe. All of his advice was spot on, from doing minor renovations, to the listing price, to the staging. Thanks to him, we got an incredible offer on the first weekend. I highly, highly recommend him to anyone looking to buy or sell in the DC region! I both bought and sold my condo with Lisa, and she made the process easy and seamless each time. I felt extremely comfortable throughout the process with Lisa's attention to detail and communication style. I highly recommend working with Lisa! Over the last couple of years, I have completed 4 personal real estate transactions with Ira and I have also worked with him and his clients on many other projects through my company. He has always gone over and above what it takes to make the deal work smoothly and as easily as possible for his clients. In some cases, he even personally delivered documents or checks to make sure they were there quickly to keep us on schedule for closing. In one case, I wanted to give up on one transaction because of the selling side, but he made sure it happened and it turned out well in the end. I would highly recommend Ira to any of my friends and colleagues… and I have already! In the past year I bought one home, sold it, and bought another home. All three times I turned to the warm and professional staff of the Hersh Group, and they worked hard to make each transaction as advantageous and smooth as possible. The team is so good-natured and accommodating, consistently going out of their way to ensure a successful purchase/sale. In addition, they made sure that I had everything I needed and helped me in numerous ways, such as giving me rides to and from settlements, providing helpful information about neighborhoods and parking, and putting me in contact with contractors who could skillfully and reasonably perform work. The team works together so well that I have come to think of them as a family, and I will most definitely be using them in the future. I met Ira when I first moved to DC in 2000. I was told he would find me the perfect place and he did…three times! I have owned and sold three houses in DC all with Ira and Company at my side advising me and making sure every step of the purchase and sale was done right. I just sold my last house at the end of 2009. The economy did not make it easy but Ira knew exactly how to market the house and get it sold. He helped me through every step of the process despite the fact that I was often out of the country and hard to reach. Everyone else was saying houses weren’t selling and if you were lucky enough to sell, you were not going to make any money on the sale. Ira never doubted but never made overblown promises. He kept me on a steady course and encouraged me by constantly working to make sure he was marketing the house correctly. In the end, the house sold, I did not lose money, and The Hersh Group once again proved they are the best realtors in the DC area. I would recommend Ira in a heartbeat and welcome any calls or e-mails for a reference! He clearly knows this city, the real estate market, property history/information, and he has an excellent working relationship with the other local agents, all valuable resources in buying my new home in DC. This home purchase was a positive experience all around and I feel fortunate to have had Ira working on my behalf in this process. Katie is an awesome real estate agent and we are so happy to have worked with her to buy our first home. She is smart, responsive, an excellent communicator, knowledgeable about the local market and calm under pressure – not to mention she is just a pleasure to be around. She made the first-time home-buying process easy for us and helped mitigate some stressful situations. She also referred us to an outstanding mortgage broker, home inspector and closing company – we are really grateful for all of her support and advice. We’d highly recommend working with her whether you’re buying or selling your home. The Hersh Group was great. They know the market, they went out of their way to help us and we liked working with them. This was our first time buying a house and despite our best effort to be educated consumers, there was so much we didn’t know. Ira answered all our questions, listened, and when we needed it, gave good advice. With all that is involved in buying a house, we are very happy that we worked with such good people. 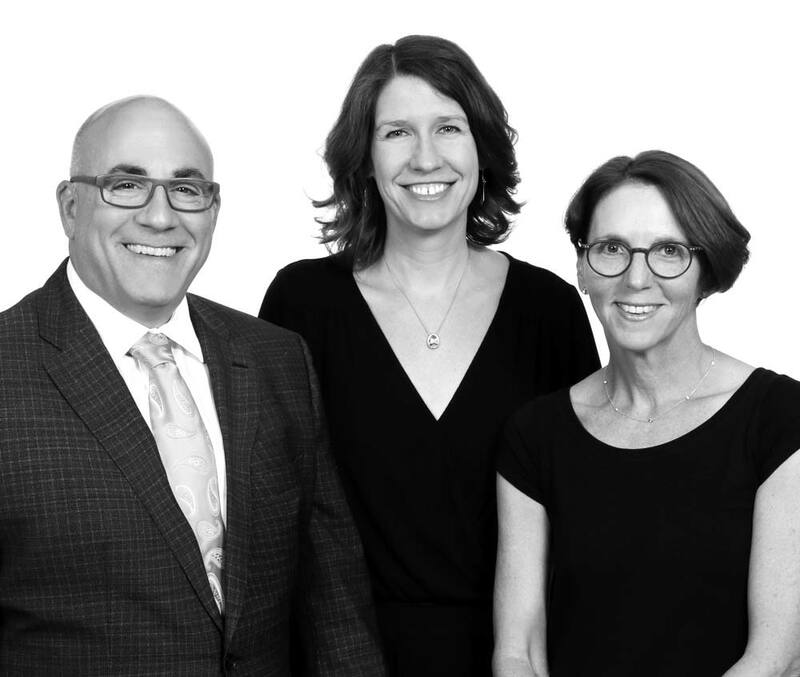 Karin W. and David W.
Ira’s hands-on advice and strong knowledge of the community proved invaluable to both the purchase of our new home and sale of our previous residence. The team’s diligence, care and availability were greatly appreciated. In a few weeks, Ira did what a team of psychiatrists working with real estate agents around the clock couldn’t do. He learned about our family’s widely different tastes and requirements and found the houses that suited all of us perfectly – the perfect amount of space, arrangement of rooms for parents, baby and guests, separate home office, parking, great kitchen, and fantastic neighborhood with minimum commute to work within our budget. I have worked with Katie on two sales and three purchases. She is a consummate professional and I recommend her for your home buying or selling needs! Even after the purchase she acts as a local expert and can refer to various contractors and help you figure of local officials to call if there are issues.